As Indonesia shifts its economy towards information-based products, it becomes increasingly dependent on high-level skills, competencies, and knowledge. Investment in education, including teacher training, appropriate curriculum, and access to high-quality learning materials. SMERU has conducted several studies around education, including the effects of teacher absenteeism, and the impact of government programs on basic education. Findings from these research projects show that Indonesia is amongst the poorest providers of education in the world. 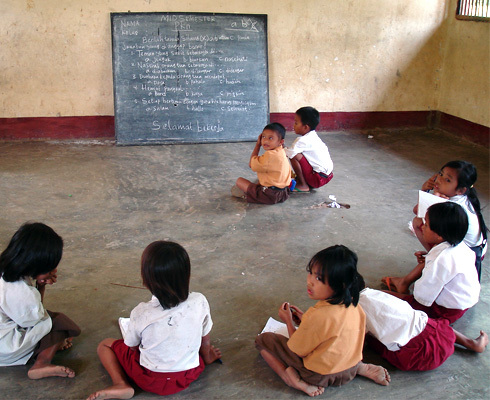 Only 37% of teachers in Indonesia have the necessary qualification as set out in the 2005 Teacher Law, and around 15% of teachers are absent from their classes each school day, impacting heavily on the quality of education provided to students. SMERU recently completed a study to measure teacher accountability and performance in remote areas.